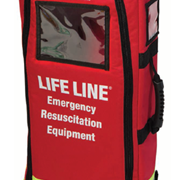 M1000D houses a full oxygen therapy system as well as providing space for a small semi-automatic defibrillator. 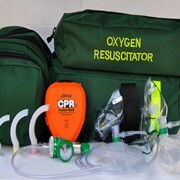 The kit is also available without the defibrillator pocket. 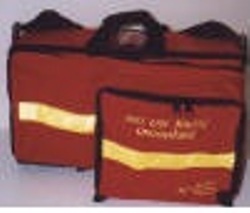 Ideally suited to organisations such as Surf Lifesaving and volunteer first aid providers who require a bag that holds much of their required equipment in one easy controlled kit. Dimensions (no defibrillator pocket) 560 x 310 x 240mm. 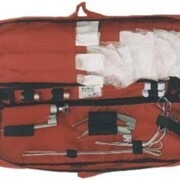 A large pocket on top of the kit takes many of the semi-automatic defibrillators currently on the market. Reflective tape ensures you will be seen. A removable bottom of the bag means the outside always stays in good condition. Plenty of pockets provide maximum storage capacity. Clean simple lines inside maximises usable space. 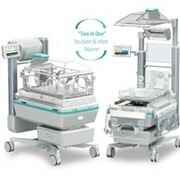 Padded rigid walls protect equipment. 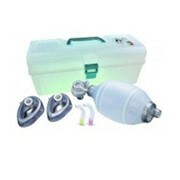 The oxygen Cylinder is housed in strong velcro and webbing straps. 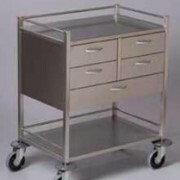 Securely fasten on the back wall leaving masses of storage space for other equipment in removable modules that are supplied with the pack. Plenty of space for a full set of stiffneck collars and a small first aid/trauma kit as well. By opening one of the lid panels you have easy access to the cylinder and regulator. Flow rates can be observed and varied quickly and without effort. 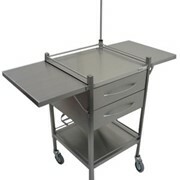 Other compartments and pockets give you a wealth of storage space with other equipment. 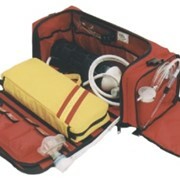 The M1000 kit without the defib pocket makes for an ideal, compact resuscitation kit. All that this pack lacks is the large top pocket, everything else is there. 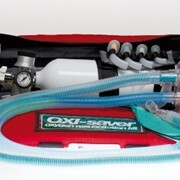 Oxygen, defibrillation and trauma equipment in one kit. You can configure the bag with your regulator, masks etc which means you do not have to throw away perfectly good equipment. Hidden back pack harness, helicopter winching point, adjustable shoulder carry strap, and hand carry straps.